Australian telecoms company Ziptel (ASX:ZIP) has set Monday, December 22nd as the date for the pilot launch of its ZipT mobile app targeting the $1.7 trillion global telecoms market. 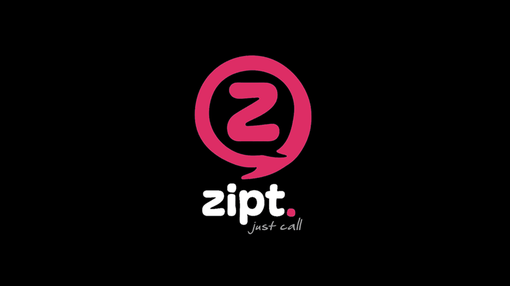 ZipT allows users to SMS and make international calls for free, app to app, or at low cost to any landline or mobile globally. It achieves this by compressing data signals so clear connections are made possible in all telecoms environments with a minimum 2G system. On December 22nd, ZIP will roll out ZipT’s pilot phase, targeting five markets – India, Brazil, Mexico, the US and the UK – focussing on the Android market within each nation. A promotional video was released in order to drive customer acquisition and VIP member subscriptions. The idea is to build a user base for the wider global launch in 2015 and iron out any issues at the same time. 130,000 users will be targeted initially, an increase from the original target of 50,000 which was revised after internal testing of the app. ZIP has a fighting fund of $3.6M set aside to acquire the first 5.6M users of ZipT. The six-month target is one million users, then scalable targets rising to 10M and then up to 50M users in the first year of operation. To achieve this, the pilot phase aims to create a user base of 130,000 people who will then help the app grow organically through sharing and promotion. ZipT’s pilot launch will be conducted over two phases. The first will target Indian users and see ZIP work with its local distributer AirLoyal, a huge Indian mobile advertiser, whose Ladooo platform will be used to promote ZipT to the million of Indian mobile users. ZipT’s Ladooo promotion will initially target 10,000 users who will be able to download the pilot version of ZipT over a two to three week period. ZIP will use this initial phase to analyse feedback, fix issues and measure engagement and retention. ZIP’s marketing firm Mpire Media will then gather 70,000 users through distribution of ZipT via the Google Play store. This phase will also measure engagement and retention and begin the organic growth strategy. The Secondary Pilot Phase will see ZipT rolled out in Brazil, Mexico, the USA and UK beginning in the middle of January 2015. Mpire Media will aim to acquire 50,000 users spread across the nations. Once the pilot phase is completed, ZIP will then move into the second and third phases of its commercialisation strategy targeting 120 countries from early 2015. ZIP’s Chief Executive Officer Bert Mondello says the first phase of ZipT’s commercialisation strategy is deigned to provide rapid scaling for the app. The customer interface of the ZipT app, which controls its functions, has been extensively screen trialled and tested by ZIP in the lead up to the pilot roll out on December 22nd. The interface ZIP has produced for ZipT is designed to drive the app’s use through social networking sites like Facebook and Twitter. Users are able to invite others to the app through optimised screens. Executive Director Keaton Wallace says the new interface design enhances ZipT’s abilities and brings social media to the fore.